Our Chase The Sun Challenge has kicked off and we’ve had an incredible response with over 1000 of you entering to win this once in a lifetime trip. Now is your chance to put your pedal to the metal and take advantage of an extra incentive on your way to Tenerife. 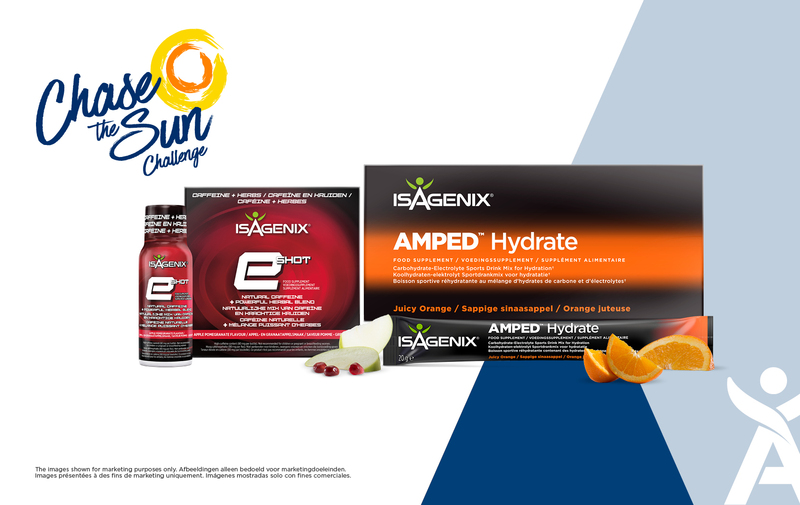 On your way to qualifying for the Chase The Sun Challenge you can now earn more FREE PRODUCT! Reach 1,000 points in the Chase The Sun Challenge by end Wednesday 10 October, 2018 (Midnight New York time) and you’ll receive a FREE box of AMPED Hydrate and a FREE box of e shots. Your FREE product coupons will be loaded into your Back Office on Thursday 18, 2018. Not only will you receive your free products but if you reach 1000 points by the incentive cut off, you’ll be recognised on social media to show off your achievement! So what are you waiting for?! Keep pushing forward for this trip of a lifetime and pick up your freebies along the way. For more information on the Chase The Sun Challenge click here.